Raaga.com: Wedding guest murders groom’s father on being denied Bollywood song!!! Wedding guest murders groom’s father on being denied Bollywood song!!! Remember the hit song from Ram Gopal Verma’s action thriller SATYA. Well, while the song was a fun filled dance sequence in the movie but readers would be shocked to know that in a bizarre incident a group of youth (guest at wedding) in reality shot dead the father of the groom after he objected to stop playing Bollywood song during the wedding ceremony. The weird incident occurred at Sakoti village near Manglaur in Haridwar district. 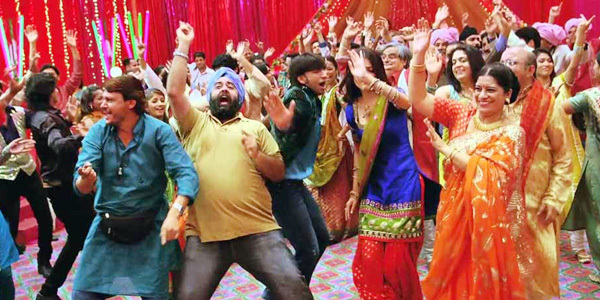 According to reports a group of youth under the influence of alcohol was dancing fanatically at the wedding to Bollywood songs. As the marriage rituals were getting delayed, the groom’s father, Vishwas Ram, angered at the music, raised his voice and asked the DJ to stop the music so that the marriage rituals could performed. However the youths, led by Teluram, got into a heated argument with Ram. The situation became ugly when Teluram in fist of fury brandished a gun and at gunpoint forced the DJ to continue playing music while the poor groom’s family desperately requested the inebriated youths to stop and allow the marriage ritual to commence. Irked at the youth’s misbehavior Vishwas Ram sternly asked the youths to leave the weeding venue but instead of cooling down the inebriated youths felt humiliated and to the surprise of everybody, Teluram with his gun shot died the Viswas Ram, sending chill down the spine of the guest attending the wedding ceremony. Ram was rushed to the civil hospital, where the doctors declared him dead. Meanwhile the police have arrested Teluram and his two other friends Madanpal and Sumit Singh.